Our Full Grain Leather is manufactured naturally leaving all scars and blemishes of the natural leather and is considered part of the character and beauty of the finished product. 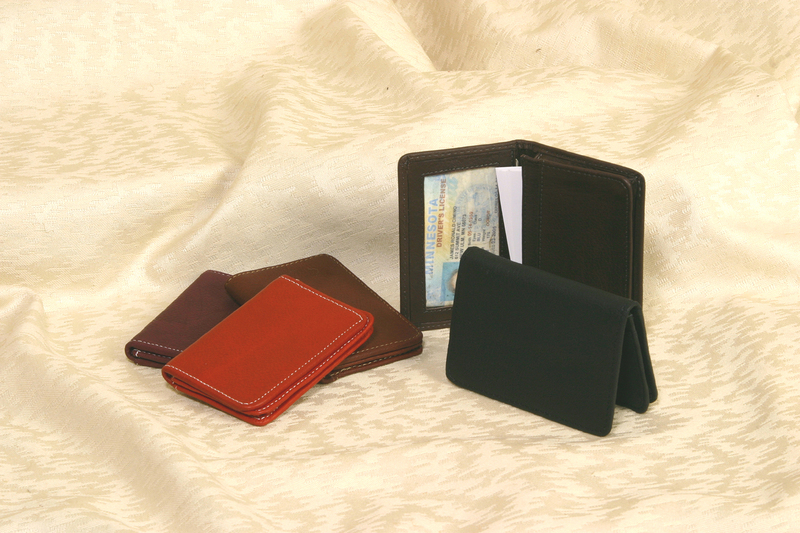 Our Gusseted Leather Business Card Case is something everyone will appreciate. It holds up to 75 business cards and includes a ID window. It also doubles as a Credit Card Wallet. Small and compact for a pocket, purse or briefcase storage. Makes a great Business Gift at an affordable price. Imprint Area: 3" x 1.75"